Has my head stopped functioning? I liked this. It really seems as if it could be nice set to music, too. Food doesn’t interest me anymore.. This is a very beautiful poem that I can relate to. I like how well you describe all the sensations and reactions of infatuation, when our human mind loses control and gives way to the heart. but you are never going to remove that ruined seal. Nice poem. When one is away from loved one then it is realised how much we love and the heartache makes us feel our heart heavy. Frank, this is a wonderful poem. I hope the object of your desire knows how lucky they are to have found such a talented wordsmith. your poem about love despite insomnia is splendid. your thoughts glued to the hear very much. This is marvelous. I love it. hi, I’ve nominated you for the versatile bloggers award, enjoy! Would it feel good, alive and bright if it isn’t “just a poem”? 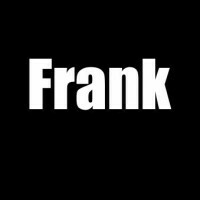 What do you think, Frank Solanki? Long lasting impression of love irrespective of positive or negative, remain ever with your thoughts, unless you die.